DoPE (Director of Photography/Editor) is all about my journey as a photographer in filmmaking. While I use my photo work to tell stories, film is a wonderful way to extend that story line and an essential medium to give your story visibility. Join me on my way to being DoPE. Since 2015, I have been honored with the opportunity to photograph leaders and champions of the diversity effort within advertising, marketing and media. With media being so powerful and influential, it’s critically important that the messaging and brand stories being told include enough perspective to speak to people of all races, ethnicity, religions, abilities and identities, both sexual and gender. This highlight reel is a look at how I was able to capture a “Moment of Truth” for each honoree and recognize how their moments collectively create a movement from which we all benefit. #ThisYearIWill is an inspiring series of images and short films about setting out to accomplish one's yearly goals. I approached this project with the intention of demonstrating my workflow and capabilities with the film production process. During that time, I discovered a love for writing and created a simple, evergreen and encouraging story line that can be applied to almost anyone’s desires and goals. The narrative is written as an encouraging letter to oneself, steadfast with acceptance, cheer leading and moving forward towards one’s goals. This series was produced and filmed over the course of several months, as I had to negotiate a schedule with my actors/actresses (i.e. my offspring) for multiple shoot dates. Written, filmed and edited by Akintayo Adewole. 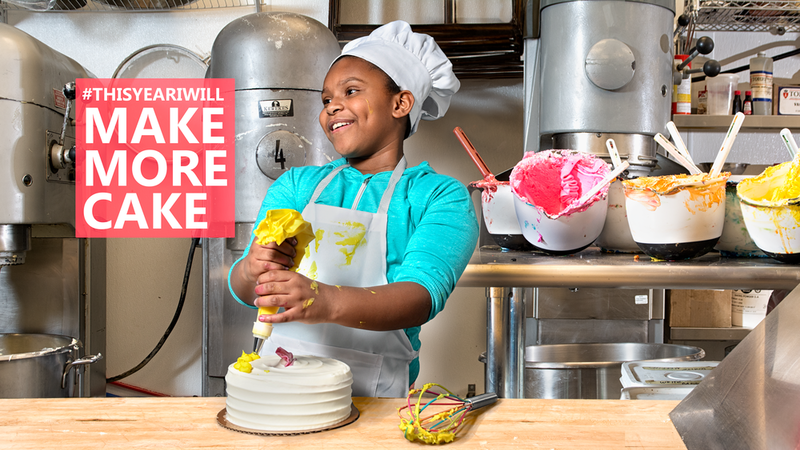 Ifayola is the cutest cake boss yet. What's in her way? Nothing... not even last year's regrets or self doubts. A new kinda cake boss has emerged... and all that sugar and spice is a force to be reckoned with. Olatunji has his work cut out for him, but he's more than up for the task. This year, his biggest challenge was getting out of his own way. Once realized, not even he can stop himself. The finish line awaits. Folasade has stories to tell. But for any great author writer's block can creep in on that creative flow . 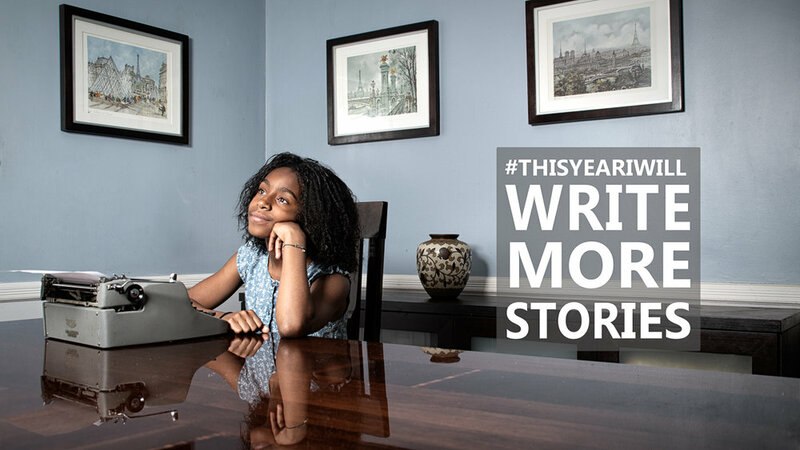 This year, she will dig for inspiration to write the greatest stories ever to be told. 4x Olympian, Joetta Clark-Diggs, came to me for a revamp on telling the story of her family’s legacy and the part that she has played in helping to build it. With an anticpated release date of her new fragrance, JOETTA, she wanted to make sure she had fresh, current and impactful video work that would draw in her fans as well as help to create new ones. With one day to shoot, we were able to capture footage for both her legacy and fragrance videos. We fortunately had 2 to 3 weeks for post and was able to spend time selecting the right pace, shots and music to bring her compelling and inspiring stories together. Her fragrance video debuted at her annual Women’s Summit conference and her legacy video (The GOTTA DO edit) debuted at the USATF Annual Hall of Fame event. Filmed and edited by Akintayo Adewole, sound recording by Nate Attias. Joetta Clark-Diggs has created a scent to remind you just how much of a champion you are. JOETTA is for the champion in YOU. Joetta Clark Diggs talks about what it takes to be and stay a champion. Joetta Clark-Diggs speaks on her legacy, the importance of family and a life-long dedication to excellence.